Embrace and The Social Group announced today that after six great years, The Hoxton will be closing its doors at the end of the month. 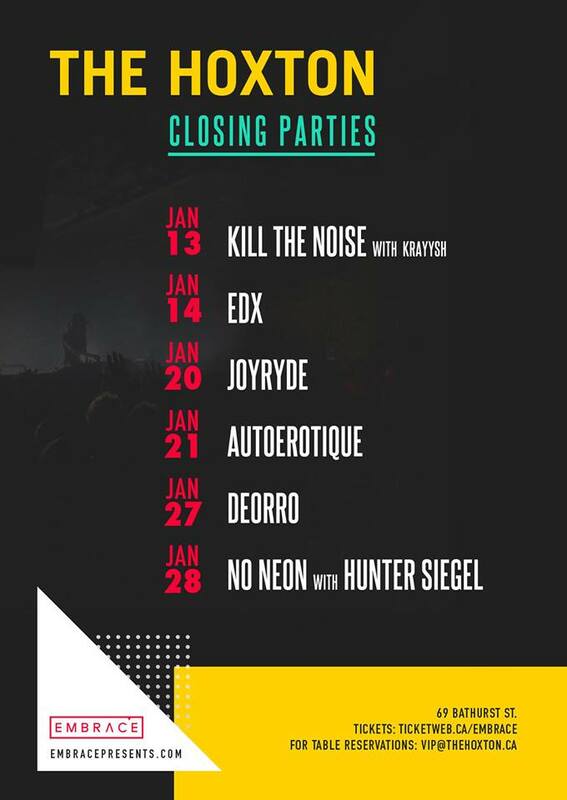 The final weekend will feature Deorro on Friday, January 27 and No Neon with Hunter Siegel on Saturday, January 28 for one last epic night. 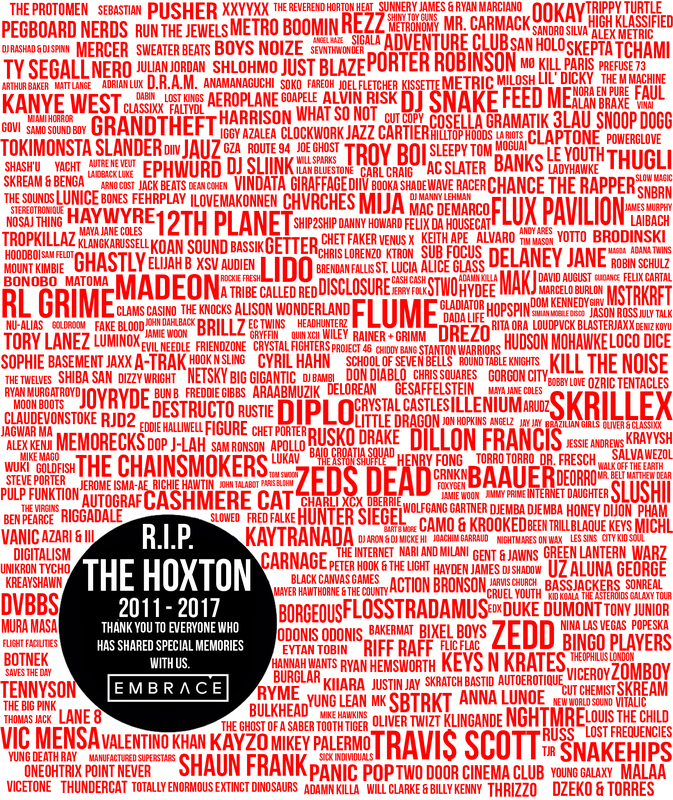 The spirit of the Hoxton lives on as Embrace will continue to showcase the same quality of cutting-edge artists at other local venues, including: CODA, Velvet Underground, Maison Mercer and The Danforth Music Hall. We would like to thank all the DJs & bands that have played at the Hoxton, our staff and of course the fans who came out and supported our events. We are excited for what this final month will bring and hope to see you all at the Hoxton one last time!